Ben MacIntyre's work of non-fiction, Double Cross, follows five double agents as they discover information and more importantly spread disinformation to the Nazis during World War II. Some of the five stories are more interesting than others, but together they give a bigger picture of how the balance shifted in the Allies favor for D-Day. I was struck how differently the female agents were treated than the male agents, not so much in their assignments, which I expected, but in the way their British handlers regarded them. It seems that anyone willing to risk their life in this manner deserves more respect. In any event, the book is interesting and hard for me to put down. I kept thinking about it even while I wasn't reading it. I don't seek generally seek out books about war, but I really liked Double Cross. It might make a great holiday gift for your favorite history buff or for anyone who is interested in spies. 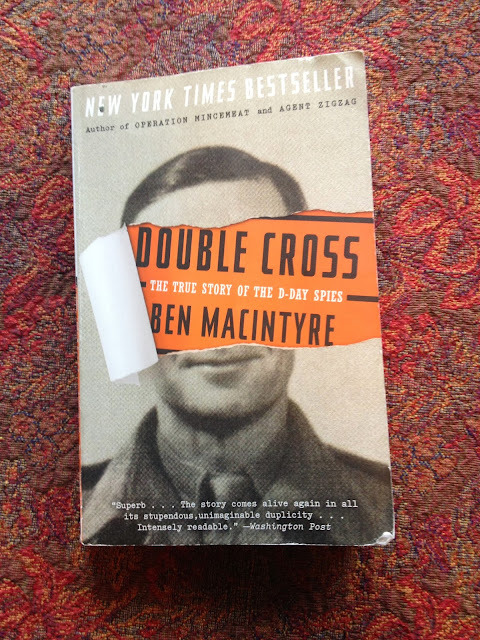 Double Cross was nominated for an Edgar award from the Mystery Writers of America in the category of Best Crime Fact book in 2013. I don't normally pick up nonfiction but this sounds good, thanks.